Prominent & Leading Manufacturer from Mumbai, we offer inconel 625 round bars, nickel alloy round bar, inconel round bar, monel round bar, duplex steel round bar and nitronic 60 round bars. We take privilege to introduce ourselves as a prime manufacturer, exporters and suppliers various quality of Stainless Steel and Carbon Steel Pipe Fittings, Flanges, Fasteners, nickel alloys and special grades Round bars suitable for various applications. We are in this field for nearly a decade rendering our services to many public and private sector companies of your repute. NOTE: • Material Test Certificate Mentioning Physical Properties &Chemical Analysis will be submitted along with the material & also at the time of inspection. All the material will be marked with manufacturer’s name/Trade mark, Material with ASTM/BS/DIN/IS Grade No. Size-Schedule and Co-related heat Nos. & Cast Nos. Sir, we are supplying the above materials to Govt. / Semi-Govt. Departments / Undertakings / Public/ Private Sectors such as : Automotive, Cement Plants, Chemical Plants, Fertilizers Plants, Food-Pharmaceutical, Oil And Gas, Petro-Chemical Plants, Power Plants, Pulp & Paper, Semi-Conductor Manufacturing, Steel Industries, Sugar Industry, Etc. Under Third Party Inspection Agencies such as BHEL, LLOYDS, DNV, IBR. EIL, PDIL, BV, TUV, RITES, SGS, TATA, TOYO, with Inspection Release note as per Client requires Size / Specification / Standards with fully satisfaction. Formalities if any For Registration, Please send us the same it will be submitted by us as required by you. Sir, we welcome you to let us have an opportunity to meet and understand your specific requirements and let us assure you of personal attention and no matter how little or bulk your needs are. As such your kind favor is solicited to oblige us with your enquiries to enable us to quote minimum prices with full assurance to execute your order to your utmost satisfaction and we want register with your firm..
Standard ASTM / ASME SB 166,ASTM / ASME B 446,ASTM / ASME B 637,ASTM B 511,ASTM B 408. 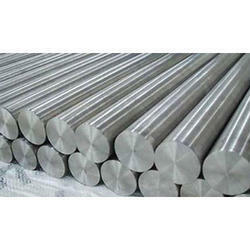 17-4PH Stainless Steel Round Bars delivers an excellent combination of good oxidation and corrosion resistance, high strength, good toughness in both the welds and base metal, and good quality mechanical properties at temperatures up to 600 degrees Fahrenheit. 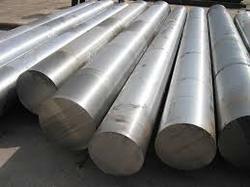 Stainless Steel 630 are alloys primarily comprised of 17 percent Chromium, 4 percent Nickel, 4 Percent Copper, with the balance being Iron, along with trace amounts of Manganese, Phosphorus, Sulfur, Silicon, Columbium, and Tantalum. 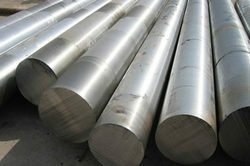 Stainless Steel 630 is classified as a precipitation hardened steel. 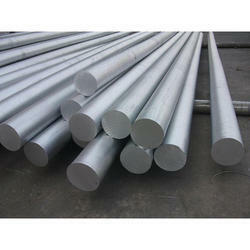 Stainless Steel 17-4 ph can be forged, welded and formed. Machining is performed in the solution-annealed state, followed by precipitation hardening. While the hardening occurs over a range of temperatures, ductility and strength can be adjusted to achieve a range of mechanical properties. 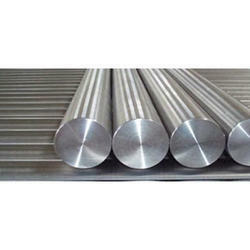 Nitronic 50 Round Bar is a nitrogen strengthened austenitic stainless steel with great versatility, combining high yield strength with good corrosion resistance. 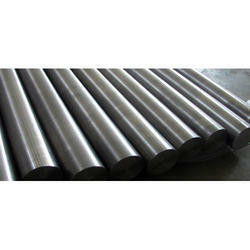 We are a prominent firm engaged in manufacturing a wide range of 329 Duplex Steel Round Bar. 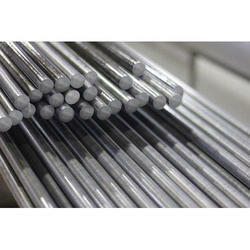 Hastelloy B2 Round Bar is a solid solution strengthened, nickel-molybdenum alloy, with significant resistance to reducing environments like hydrogen chloride gas, and sulfuric, acetic and phosphoric acids. Molybdenum is the primary alloying element which provides significant corrosion resistance to reducing environments. This nickel steel alloy can be used in the as-welded condition because it resists the formation of grain-boundary carbide precipitates in the weld heat-affected zone. It provides excellent resistance to hydrochloric acid at all concentrations and temperatures. In additions, Hastelloy B2 has excellent resistance to pitting, stress corrosion cracking and to knife-line and heat-affected zone attack. Alloy B2 provides resistance to pure sulfuric acid and a number of non-oxidizing acids. 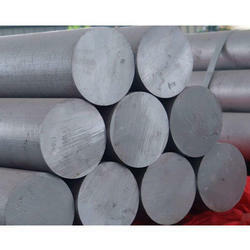 Super Duplex 32750 Round Bars have the characteristics of both ferritic and austenitic sheets of steel. 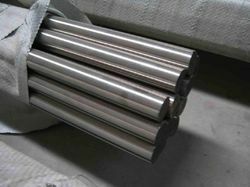 It has excellent corrosion resistance to a wide variety of media, with outstanding resistance to pitting and crevice corrosion in seawater and other chloride containing environments due to its high chromium, molybdenum, and nitrogen level, with Critical Pitting Temperature exceeding 50°C. Our Super Duplex F53 Round Bars combine the most desirable characteristics of both ferritic and austenitic sheets of steel. It has excellent corrosion resistance to a wide variety of media, with outstanding resistance to pitting and crevice corrosion in seawater and other chloride containing environments due to its high chromium, molybdenum, and nitrogen level, with Critical Pitting Temperature exceeding 50°C. The duplex microstructure gives this grade high strength UNS S32750 a low coefficient of thermal expansion and higher heat conductivity than austenitic steels and is suitable for working temperatures up to 300°C. 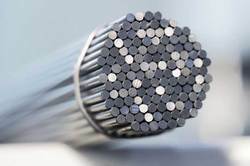 Hastelloy C-22 Round Bars provides resistance to general corrosion, pitting, crevice corrosion, intergranular attack, and stress corrosion cracking. Inconel 22 can be used for many applications such as marine, power, chemical processing, pollution control, paper processing, and waste disposal industries. Hastelloy C22 contains chromium, molybdenum, tungsten, and iron which makes the alloy resistant to corrosion in stagnant or flowing seawater. The alloy is formed by gas tungsten-arc, gas metal-arc, and shielded metal-arc processes. 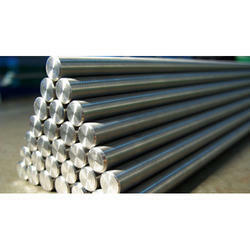 We are engaged in providing Titanium Grade 2 Round Bars, which is made by talented professionals who employ the industry-allowed material and advanced techniques. 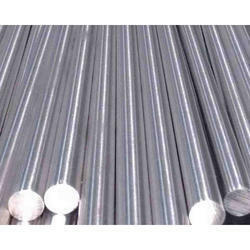 Monel K500 Round Bars is a nickel-copper alloy with the same corrosion resistance and characteristics as the Monel 400®. The Monel K-500® has a greater strength and hardness then the 400, as a result of added aluminum and titanium. In age-hardened condition, it has greater tendency toward stress- corrosion cracking in some environments. 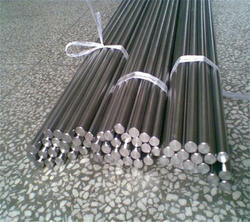 As an esteemed company, we are engaged in providing a broad gamut of 17-4 PH Grade Round Bar. The offered round bar is manufactured using the best quality stainless steel and ultra-modern technology in line with industry norms. Our quality examiners test this round bar against different parameters so as to ensure its quality. 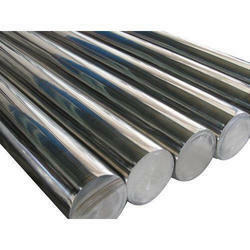 Besides, our valuable clients can avail this round bar from us at nominal price. we "pragati metal corporation" are the leading wholesaler, exporter, importer, trader and retailer of a wide range of Stainless Steel 440C Products, PH Products, Tantalum Products, Hastelloy Products, etc. Manufactured by the use of unmatched quality raw materials and latest techniques, the offered range of products is thoroughly examined against various parameters of quality. Capitalizing on the ability of our skilled personnel, we are keenly instrumental in delivering a comprehensive, Titanium Grade 5 Round Bars. 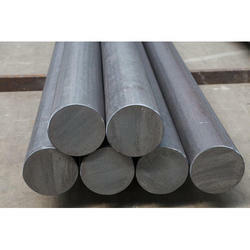 Monel 400 Round Bars is a nickel-copper alloy that is resistant to sea water and steam at high temperatures as well as to salt and caustic solutions. Alloy 400 is a solid solution alloy that can only be hardened by cold working. This nickel alloy exhibits characteristics like good corrosion resistance, good weldability, and high strength. A low corrosion rate in rapidly flowing brackish or seawater combined with excellent resistance to stress-corrosion cracking in most fresh waters, and its resistance to a variety of corrosive conditions led to its wide use in marine applications and other non-oxidizing chloride solutions. This nickel alloy is particularly resistant to hydrochloric and hydrofluoric acids when they are de-aerated. As would be expected from its high copper content, alloy 400 is rapidly attacked by nitric acid and ammonia systems. Looking for Metal Round Bars ?